I don’t know any Israelis that trust politicians. The people would like to trust them; people support them and want to see them succeed, but actual trust? Faith? No. Israel does have leaders. Glorious leaders, people that inspire love and faith, people that others will follow in to fire – literally. You find them in the IDF. They aren’t always the high ranking officers either. They are people that earn respect and love by modelling in their actions the qualities, values and morals that are the beacons of our society, the yardsticks by which everything else is measured. Strangely, and in contrast to what is widely believed about Israel, our society doesn’t glorify the military. War is not a game, fighting is not fun and we’d rather our children never had to wear the uniform. Israelis respect the military for the simple reason that without them, we wouldn’t exist. Israel is full of thinkers, inventers, entrepreneurs, musicians, poets, artists, professors, scientists… look at the top of almost any field and you will find Israelis (and Jews from other countries). All of these could be considered leaders but here I am talking about a different kind of leader, the people that inspire others – the people you trust with your life. They are Israel. They are sons, fathers, and friends – “regular” guys. They don’t see themselves as particularly special. They are just people who want to do the right thing. People who care, who put others first and who understand that there are things more important than themselves or their individual desires. 26 year old Benaya Sarel had quickly achieved the rank of Major and the position of Givati recon company commander. Although not the type to push himself forward he had a quiet radiance that made people listen when he talked. 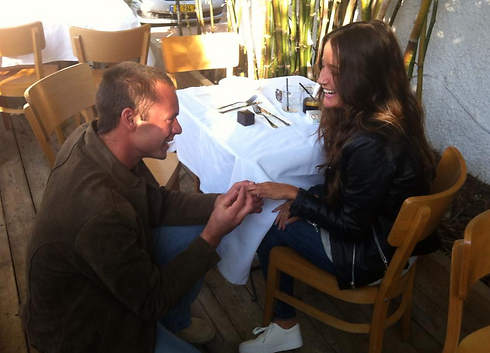 Benaya was supposed to marry his Gali in two weeks. At his funeral she apologized to him, saying she was sorry they hadn’t married earlier, that she was sorry she hadn’t had his children before it was too late. He took care of his soldiers when they were in the midst of military duty and while they were at home. He used his own salary to buy groceries for “lone soldiers”, those who have no family to go home to. On the battlefield he made sure that he went first so that if something happened it would happen to him, not his soldiers. And it did. On Friday, August 1st, during a ceasefire brokered by the US / UN, Benaya was murdered by Hamas terrorists along with Staff Sergeant Liel Gidoni and Lieutenant Hadar Goldin (whose body was abducted). They were looking for a terror tunnel meant to be used to attack Israeli citizens. Instead of using the tunnel to enter Israel, the terrorists used it to ambush the three soldiers. Hadar was 23 years old. 24 year old Lt. Eitan has been asking people not to call him a hero. The ambush that killed Benaya and Liel led to a firefight. The soldiers saw what happened and the cry went out that Hadar was missing. Lt. Eitan understood that the Hamas terrorists had dragged Hadar in to the tunnel. He understood it was necessary to enter the tunnel and try to get Hadar back. It is absolutely against the IDF rules of safety for the soldiers to go in to the tunnels before they are checked by experts because the tunnels are usually booby trapped with explosives and sometimes armed terrorists were found hiding inside the tunnels while soldiers worked outside them. Dead or alive, Hadar needed to be brought back home to his family. 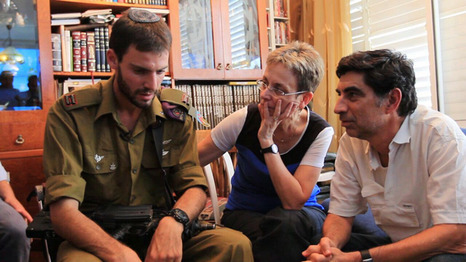 Israel is still suffering the results of the 1,027 terrorists released to ransom Gilad Shalit. That must not happen again. Eitan ran in to the tunnel after Hadar. It was his courage that enabled Hadar to be brought to burial in Israel, gave closure to the Goldin family and prevented the terrorists from trying to blackmail Israel with Hadar or his body. Our leaders are not the people that have the official title “leader”. They are the people that remind us what it means to be a good, decent, loving human being. They don’t preach, they model their beliefs in their actions. They are loved because they love. They don’t see themselves as special and don’t ask for admiration but their actions set the bar – this is what people should be like. These are the values and morals by which people should live. In Israel these special people are not regular but they are common. There are many people like Benaya, Hadar and Eitan. Why Do Some Support Hamas?